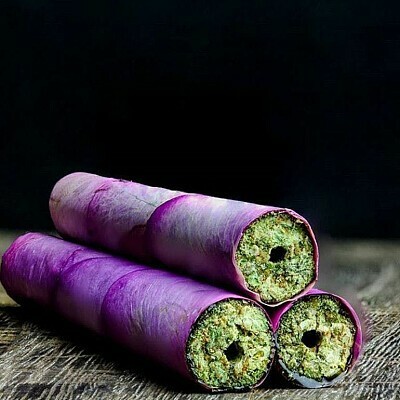 Vegas Cannagars Presents THE ROSE-GAR. Top shelf flower is drenched in live resin and wrapped in cured biologic organic edible rose petals. We made sure to procure only the highest quality rose petals, as 99% are grown with pesticides. Most "organic" rose producers use pesticides during certain growth stages and then discontinue use as it's incredibly hard to grow large amounts of roses without some type of chemical pest management. This is why our rose petals are classified biologic organic edible rose petals as there are degrees of "organic". In other words, these are not your supermarket or local florist’s rose petals. We searched for months to find them as we source only the best.